Time—the Resulting Deductible of a Default? In his November op-ed, C. Andrew Gibson states that bonds do not have a deductible as compared to a subcontractor default insurance (SDI) policy that does carry a deductible. The statement is literally correct. 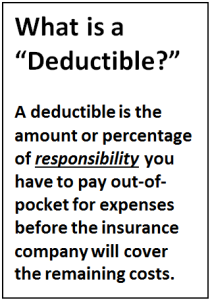 A bond does not have a “written” deductible when a default takes place. However, frustration develops when the question is asked “When will a bond pay?” We will explore the time it takes for each to respond and pose the question at the time of default, would you rather have contract certainty (SDI) or uncertainty (Bond)? Is uncertainty a deductible disguised as loss of time? How do you resolve the default quickly? A multitude of other questions quickly develop as you begin to resolve the situation that arises due to the default of subcontractor. When faced with a potential loss, one wants “time” certainty. How long will it take to receive reimbursement of money spent on the default back to the job (costs over the original subcontract, including change orders prior to the default)? Bonds and subcontractor default insurance, two risk management tools often used to mitigate a loss as a result of a default, will be explored in this evaluation of timely responsiveness. Is there any time—float, cushion built into the schedule for delays? What must be evaluated to resolve the problem? Is a strategy offered to you by a third party insurance company the best remedy for all project stakeholders? What course of action should be followed to get the scope completed? 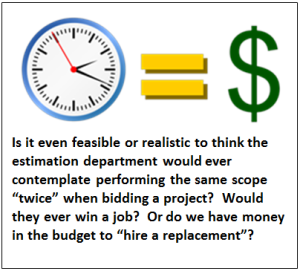 What are the options when a temporary “time” stop occurs, when a realignment of the project schedule is necessary due to the sub failure? Do we finance/supplement the defaulted sub through scope completion? Will the owner allow additional time or money(contingency) to be utilized when a default occurs that results in a claim? I would like to use a metaphorical “watch” to categorize both bonds and subcontractor default insurance. They are performance instruments (surety bond/subcontractor default insurance) designed to make payment and “guarantee” the subcontract. In conclusion of this blog, you may see why there is a trend to purchase both and, or one over the other as we shed light on the “time to pay” question. If there is a finite amount of time to get your project back on course, which “watch” will you purchase that will grant swift resolution and or resources to get the default scope resolved? Or did I assume the risk and not purchase any catastrophic insurance? Translation the gross profit on the initial estimate prior to the default is likely going to suffer with the unforeseen failure before us. Must the burden of time to resolve the default fall on the General Contractor? Is that not a deductible? The answer is yes, to both, bonds or subcontractor default insurance. The subcontract is the explicit document that outlines the burden of responsibility. The general contractor and subcontractor negotiate how the responsibility will be shifted back and forth should a problem occur with the intended scope. Bonds or subcontractor default insurance simply guarantee the subcontract. Upon final negotiation the general contractor may assume the risk (self-insurance responsibility) shed or transfer the risk of the subcontract to be “guaranteed” by either bonds or subcontractor default insurance. Which “metaphorical watch” did the project team procure? Do not both “watches” guarantee the subcontract will be back on schedule prior to the default occurring? Do they not guarantee performance of the subcontract? The answer again to both is yes. They both respond affirmatively to performance related subcontracts. 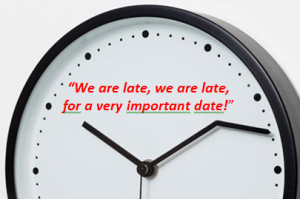 However, the time question of “when responsibility begins” for indemnification for reimbursement of cost is different with respect to when the loss is paid. What does the surety bond/insurance contract (Bond/SDI) say as to when they will pay for cost attributed to the default? The request for payment must be made by the general contractor with an answer provided from the surety 60 days after receipt of the claim by the surety. § 7.2 Pay or arrange for payment of any undisputed amounts. The table above is general comparison and for each claim there is not always a hard set time table that one can measure timeliness. But, what is being introduced is contract certainty with regard to the comparison of the tools used most often to protect us from the enemy of time. For the bonding industry, answer the question “When will you pay?” The answer is not if it will pay, but the when is often uncertain. 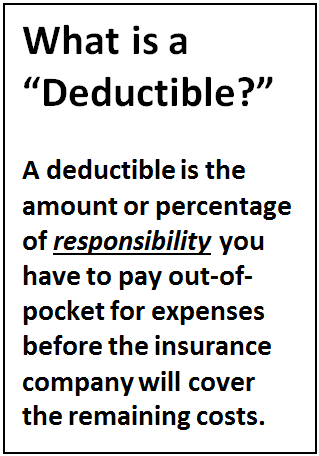 This uncertainty becomes the “hidden” or “unknown” deductible. It is not clear when they will start/stop their metaphorical “watch.” Compared to SDI, the Bond’s responsiveness is longer for repayment to take place. The entire issue of subrogation is a matter for the attorney’s to discuss at greater length. (For example, when payment is made, where can the Surety or Insurance Company seek recovery of the cost of loss from the defaulted subcontractor?) Understandably, there are excellent surety-bonding companies that will take action when the subcontract is terminated and a demand to the surety is filed. The surety will await termination to determine the next course of action, 60 days. Conversely, SDI is underway after the 30-day proof of loss has been accepted to reimburse the project team for both direct and indirect costs incurred as a result of the failure. In the various SDI policies in the market default is the trigger of coverage action not termination. Time for action and responsiveness is the same regardless of default. Think carefully about which risk management tool you wish to use prior to awarding your subcontracts. When the ultimate goal is timely, successful completion of the project for your stakeholders, which tool has a proven performance record to help you keep “time,” and manage gross margins when all else fails? Guest contributor Luke Nolan is the Senior Vice President of Willis of Texas.